Karina's Kreations: Mean Make a Monster! How cute is this guy? I don't know if the kids will use the mean eyes but I love it!!!!! 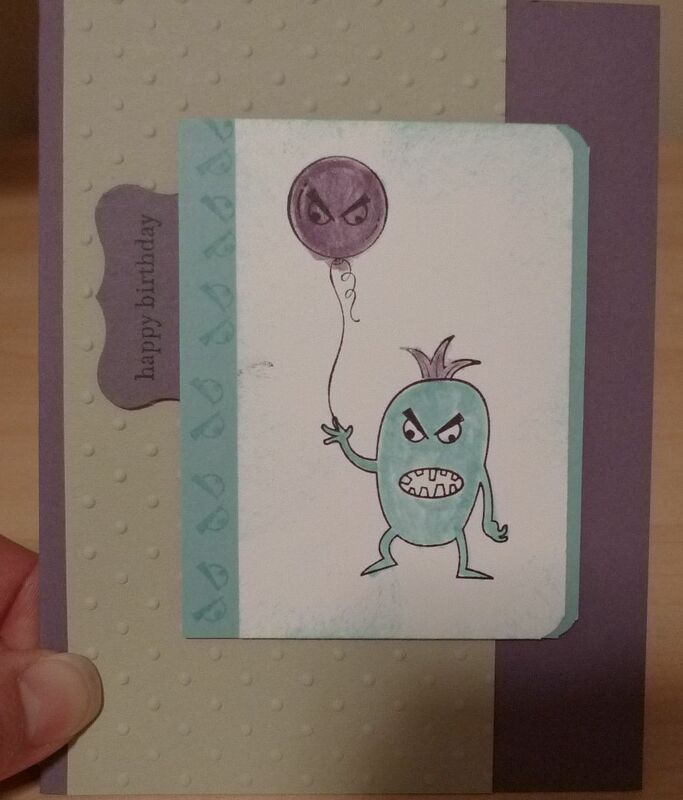 This was another card from my Make a Monster class.